I am really enjoying bee-ing a student again in the certified beekeeper course. 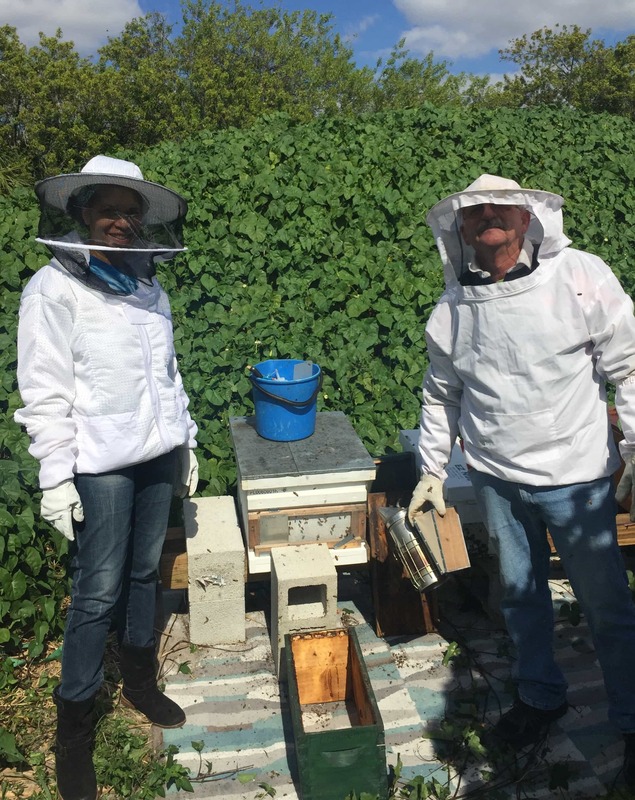 A few days ago, we learned how to transfer honey bees from a NUC box to a full-size hive box. In the photo above, we were just finishing this process. 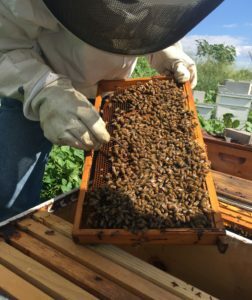 One of the most important aspects of the transfer is ensuring the queen bee has been safely transferred to the new box. She is the heart and soul of the colony. When I started the class, I wasn’t completely aware of the shocking decline in the honey bee population across America. Last year, 44% of US honey bee colonies died off. This is a staggering number, especially when we know that bees are responsible for pollinating plants and trees that produce one-third of our food supplies. Almonds, apples, apricots, avocados, blueberries, broccoli, cauliflower, celery, cucumbers, honeydew, onions, pumpkins, squash, and watermelon are just a short list of all the foods dependent on bee pollination. 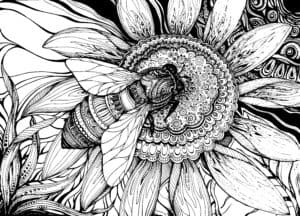 We need honeybees! Not only do we need them, we can learn so much from them. 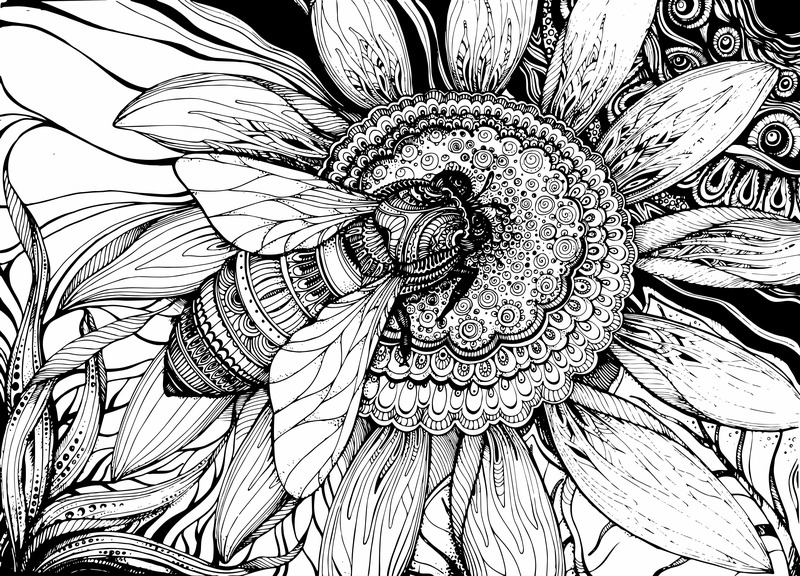 What I find fascinating is life inside the hive. 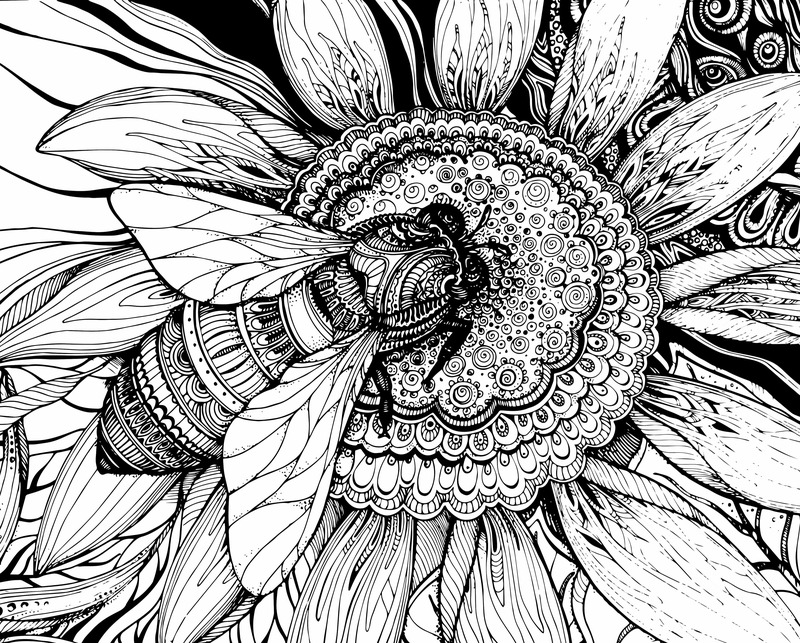 Honey bees have a very sophisticated social structure designed for sustainability and success. Inside the hive, every member of the colony has a vital role and set of responsibilities. Their diligence to do their own work ensures the survival of the colony. The honey bees work cooperatively to raise baby bees, collect and process food, and maintain the viability of their home. If necessary, they are willing to sacrifice their own lives for the sake of the colony. 1. SAVE FOR THE FUTURE. Honey bees not only harvest pollen and nectar to produce the daily food requirements of their family, they also work steadily at storing food for the future. 2. TAKE CARE OF THE NEXT GENERATION. Honey bees spend a considerable part of their lives meticulously caring for baby bees. They carefully make “bee bread” – a special formula of pollen and nectar that is fed to the emerging next generation. Worker bees check on each baby bee over 1,000 times per day while it is maturing in its beeswax cell. 3. WORK HARD. WORK SMART. Although a worker bees’ lifespan is short – 45-60 days – they work hard from their first day to their last. They also work smart by sharing the responsibility of simple and complex tasks. Their work ethic is noteworthy. I am loving these honey bees! What core values are represented in your community?